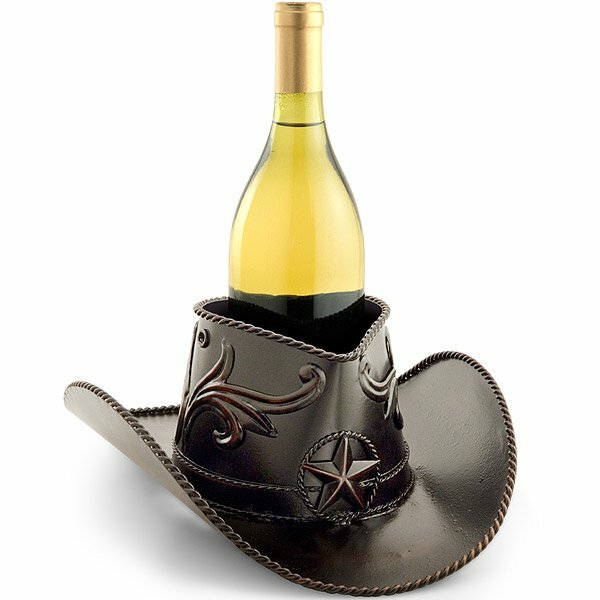 Wine Bottle Holder Cowboy Hat. Keep your bottle safe and stable in this metal Cowboy Hat Bottle Holder. 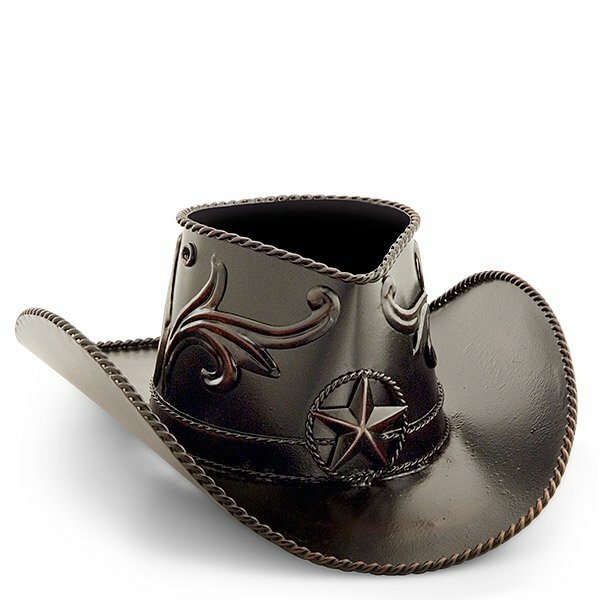 It features detailed metal work rope, fliagree and star embellishments all with a warm patina finish.